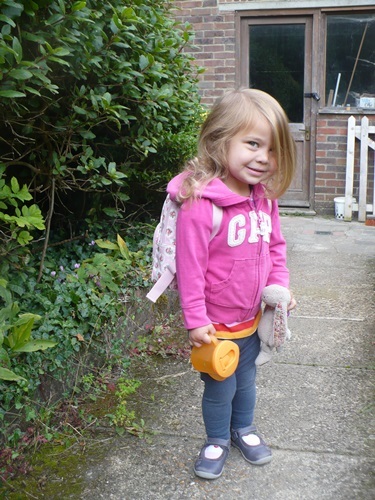 I so can’t believe it’s time already but my baby started nursery this month. 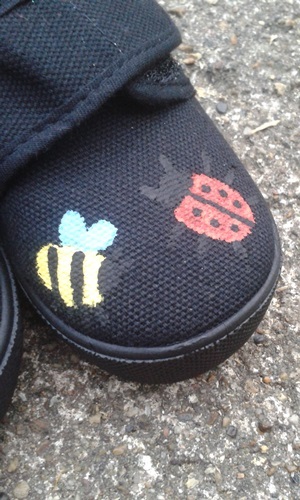 You remember I am sure that they have to have plimsolls for indoor shoes and that here at number 29 we find plain black plimsolls to be boring and totally incompatible with our lifestyle!!! 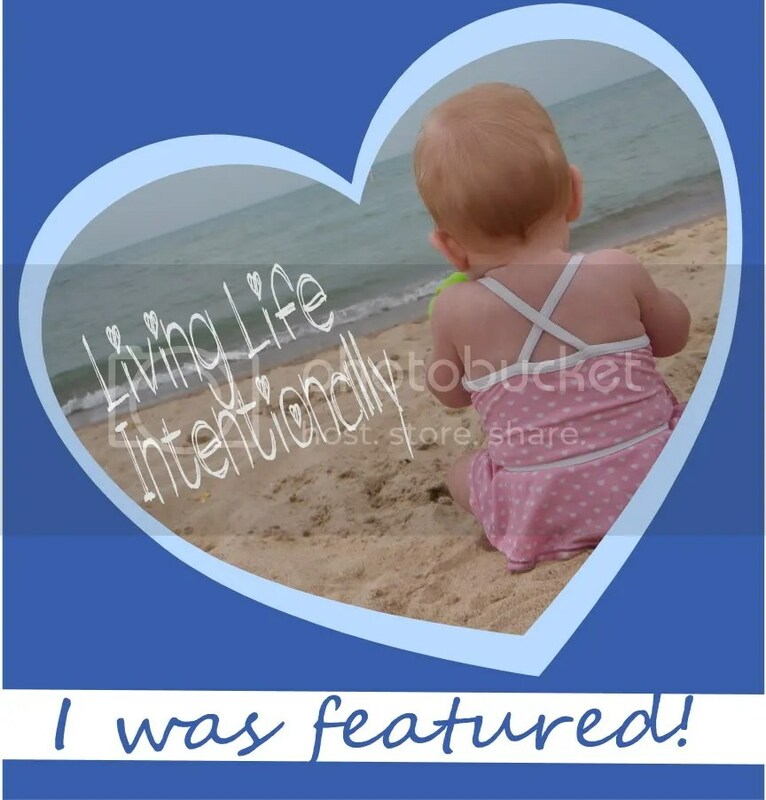 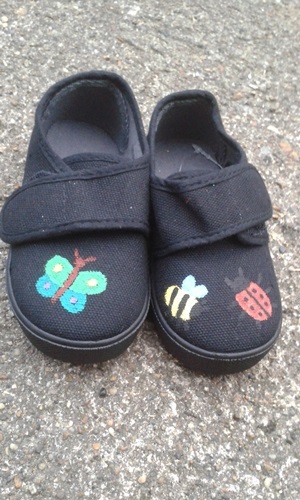 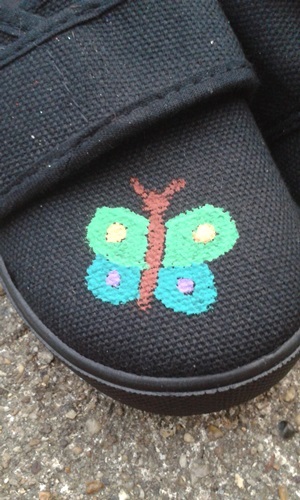 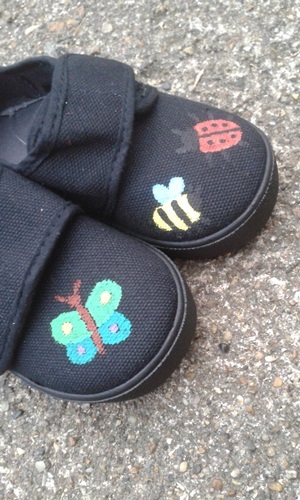 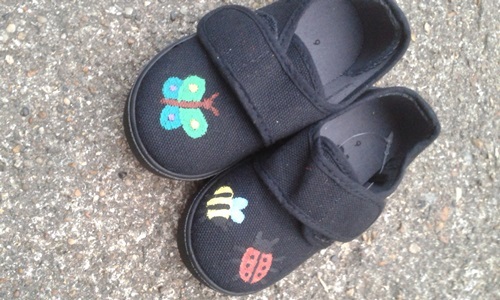 So here they are… Miss Emily’s nursery shoes!